How to install Solus in 15 easy steps! Solus is an independent, rolling-release distribution based on the Budgie desktop. 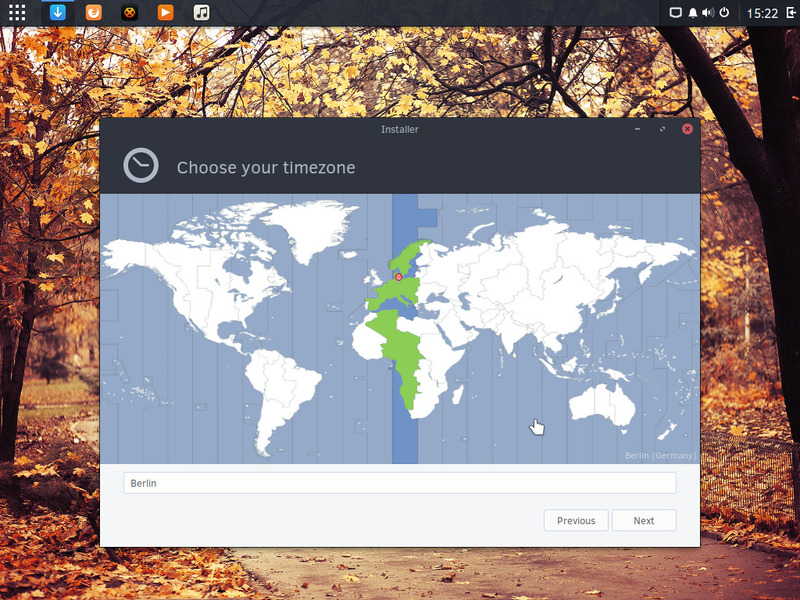 This Linux distribution is geared to desktop computers and aims to provide users with a cohesive experience. Let’s take a look at how to install it. As always you should get the image of the live media to be burned onto a USB or CD or whatever. You can do it by going here. 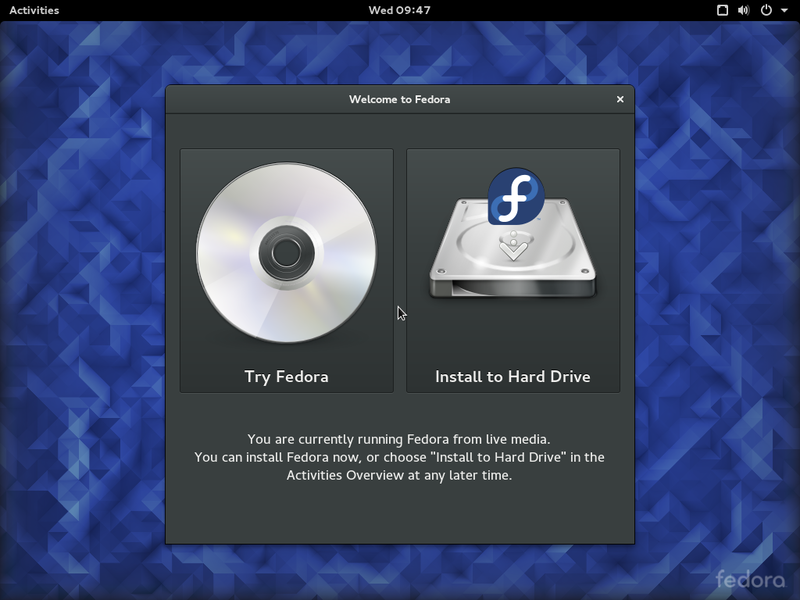 Once done, follow this guide to create a bootable media (USB or CD). Now plug your USB/CD in the computer you want to install Solus on. The next step is to boot from the media support. Power up your computer and press F10 (sometimes it is F11 or F9 or F8, rarely it is something else); if the computer starts the operating system you were too slow and will have to restart, repeat the process until you get the menu. Select from the list the media you created and press enter. In case you are on an EFI system, well it might be a little bit more complicated, search on the Internet for a tutorial for your motherboard so that you can understand better the process (since it is specific). Basically you would have to do the same thing but with EFI enabled. 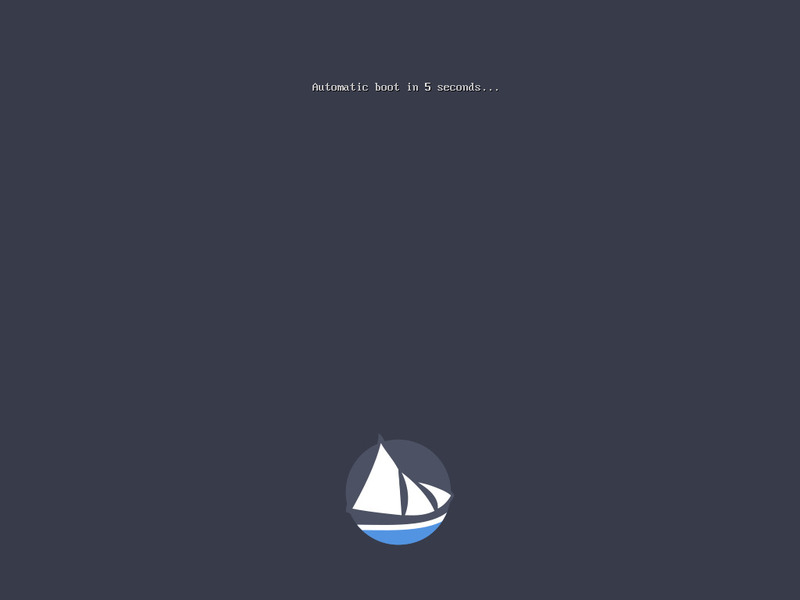 After booting you will be facing this screen and the live mode will boot. Once you have booted from the live media you will be in live mode. Everything you do here is ephemeral and won't last a reboot. Take advantage of the live mode to check everything is working (e.g. audio, monitor, network, peripherals etc.). Once you're sure you want to install Solus push the Install OS button in the taskbar (highlighted in the screenshot). In this step you should simply confirm your will to install the operating system. If you want to continue just click Install Solus to disk. If you still have something to check you can go back by clicking Continue using live preview. In this step you will select the language of the operating system (the one that will be used during the installation and after). In this step you can check the box to let the installer detect where you are. If you're concerned about privacy you can safely ignore this. In this step select the correct keyboard layout for your keyboard model. Most of the time it will be the same keyboard as the language you set previously. 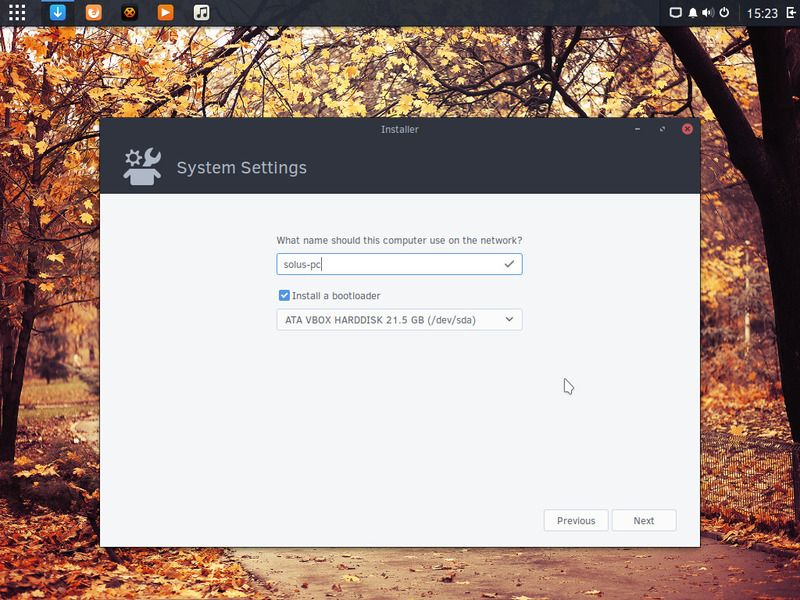 In this step you need to select the disk where you want to install Solus on. Notice that you don't have many choices and if you want to use different partitions you must have created them using another tool. If you don't know what a partition or a filesystem is, I wrote a good article about them. In this step you can choose whether to use LVM or encrypt your data. If you don't know what both of these do and you are a beginner, it's best if you don't check them. 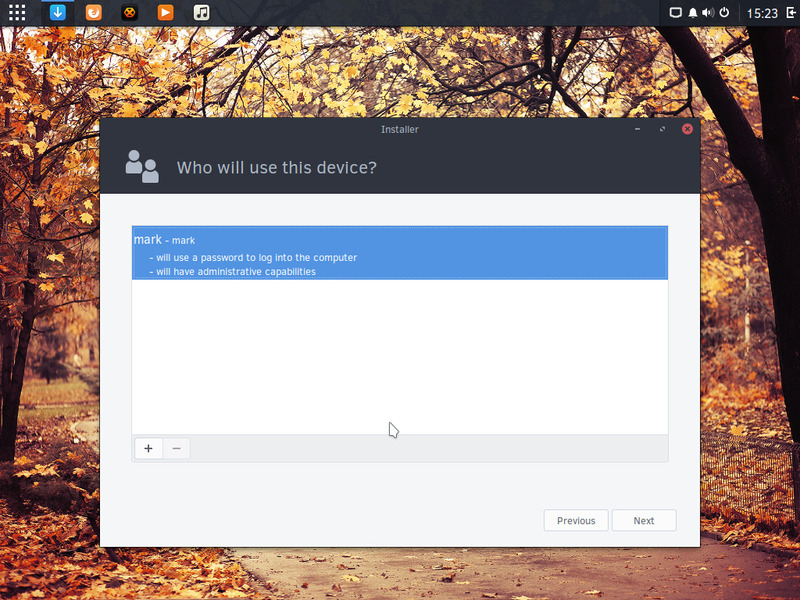 In this step you need to give a name to your computer and select a place for the bootloader. Usually it is the same spot where the partitions created during the installation are. Here you can specify your user credentials (and can make the user an administrator). Click on Add now to continue. Here you can add more users if you want to. To be able to see this screen you should have at least added one user. This is the last step, here you will get a resume for your installation. Before you click on Install be sure to review everything since no changes have been made up until now. If there are some mistakes this is the last chance to fix them. When you're ready click on install. The installation is now started, grab a cup of coffee and wait. Everything is done, you can now reboot the system and remove the installation media. 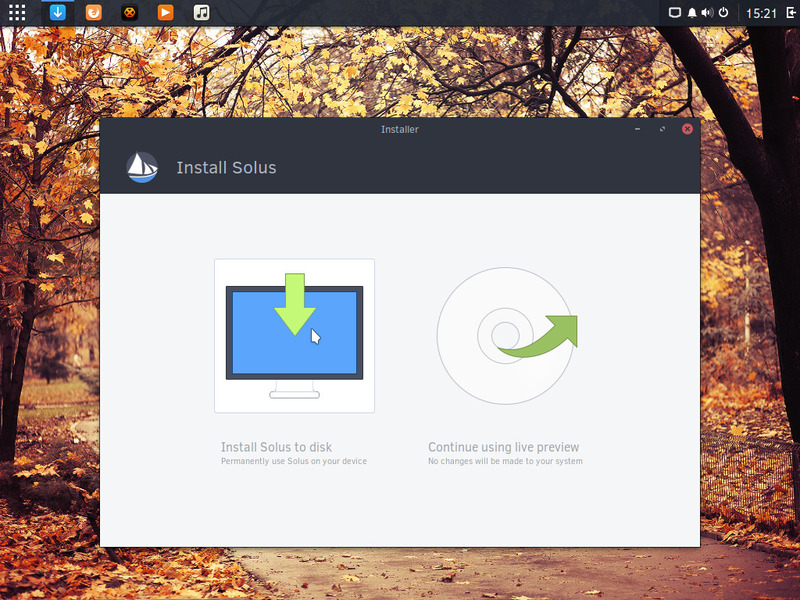 Enjoy your new Solus! 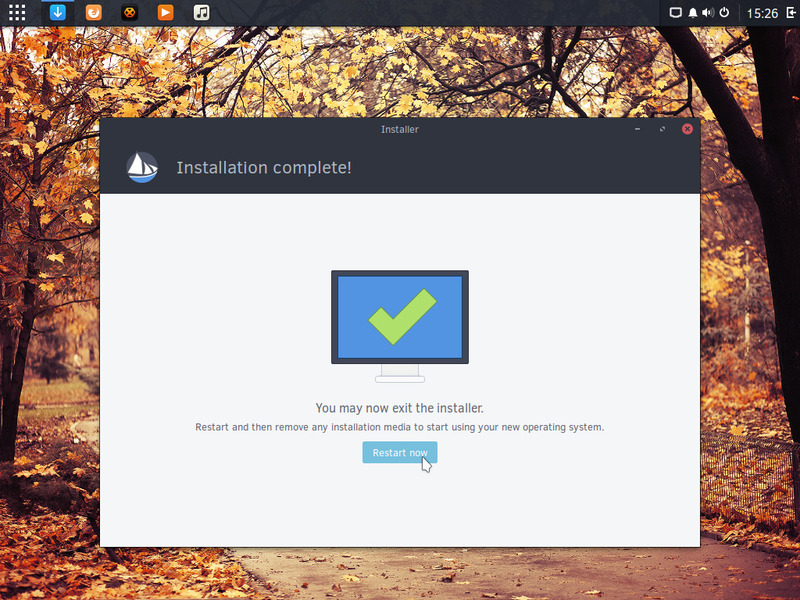 The installation of Solus feels a bit awkward compared to Ubuntu’s and Fedora’s. It is rather simple and misses the possibility to edit partitions through the installer, delegating the operation to another tool and ultimately to the user.